It’s not unusual to get phone calls from spouses seeking information about divorce mediation. I expect to be asked if I offer the service (I certainly do), how much does it cost (that depends on the two of you), but I’m too often asked how soon the couple can come in. I’m not troubled by the first two questions, but I do have concerns about the third and the lack of questions about what mediation actually is. Frankly, a rush to ‘get it done quickly’ puts a red flag in my mind. Why the rush? What makes getting divorced so imperative now? Sometimes I think it’s because the spouses have had some discussion regarding dividing up their possessions and time with the kids and the calling spouse thinks they’ve got the best possible agreement ‘teed up’ and have to ‘close the deal’ asap. They don’t want to chance having their partner think too hard about what they have tentatively agreed to, on the chance they will change their mind and either demand more or give up less. Of course, it could be that the relationship has reached such a toxic state that at least one party can’t take it anymore. A quick finish would be much desired. But this state of affairs is a function of the perspective of the calling spouse. How does the other spouse feel about this? Because it’s more common in my experience that the spouse who hasn’t called or asked any questions won’t do so in the future, even though I make a point of saying I’d be happy to answer any questions either one of them might have. And this tends to cause the non-calling spouse to be either in the depths of depression or girded for the fight of the century when—and if—they appear at a mediation. I admit that, in an attempt to slow things down somewhat and also engage the nonresponsive spouse, I send written material to both of them. This includes a guide on preparing for mediation and a FAQ sheet that covers the most commonly asked questions. Naïvely, I thought couples would take the time to read the attachments, but the anecdotal record suggests they don’t. The point, of course, is to address serious matters, like the dissolution of a marriage, with an appropriate blend of diligence and urgency. So, a divorce proceeding should not linger in the couple’s lives so long that it paralyzes any attempt to move forward, nor should it be pushed through without considering all the issues that will impact the parties as they create new lives. Couples contemplating divorce through mediation need to allow themselves time to think. They need to consider the consequences of any decisions they may reach, whether it regards children or any property they must now divide. 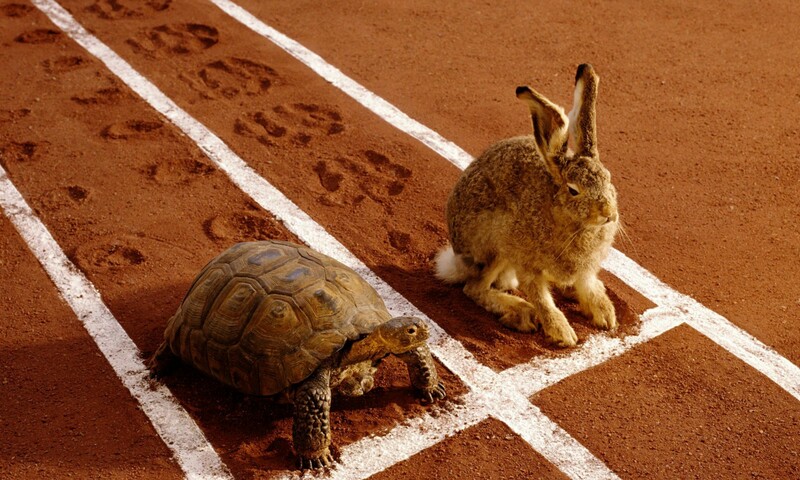 Only if they ‘hasten slowly’, like the slowpoke in the famous old fable of The Tortoise and the Hare, will they find success at the end of the day.